This evergreen tree grows up to about 6 meters (20 feet) and has dark green serrated oval leaves with pink/white flowers that are highly perfumed. 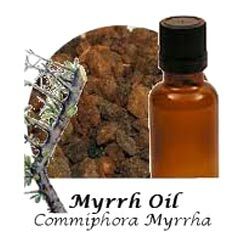 Myrrh oil has various chemical compounds that include Heerabolene, limonene, dipentene, pinene, eugenol, cinnamaldehyde, cuminaldehyde and cadinene. 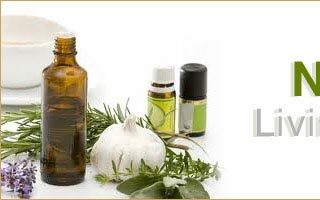 Myrrh oil is effective against excessive mucus in the lungs and helps to clear ailments such as cold, catarrh, coughs, sore throats and bronchitis. It is used for diarrhoea, dyspepsia, flatulence and hemorrhoids (haemorrhoids). 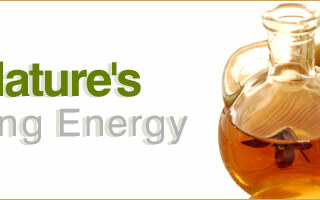 It is used after a stressful event or an extended illness, to revitalizes both body and mind. 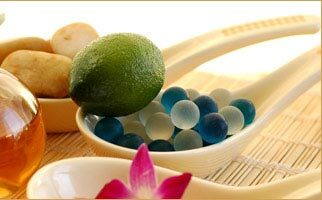 It is also used in soap making ingredients, lotions, massage oils, diffusers, potpourri, scent, air fresheners, body fragrance, perfume oils, aromatherapy products, bath oils, towel scenting, spa's, incense, light rings, laundry, facial steams, hair treatments and more.